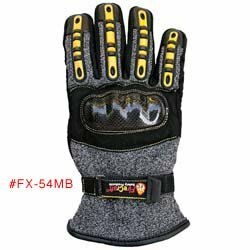 A tough job requires a tough, high-performance glove to keep your hands safe from cut, puncture and laceration hazards at an extrication scene. But you shouldn't have to compromise dexterity and comfort. Option: Porelle® FR Moisture barrier certified by SEI to comply with NFPA 1971-2013 edition; also meets OSHA 29CFR 1910.1030 (blood-borne pathogen) standard. 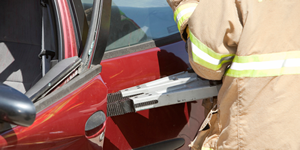 Same barrier is used in our fire gloves. 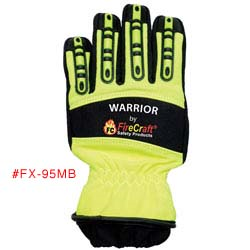 Provides heat, moisture, chemical, puncture and cut protection. 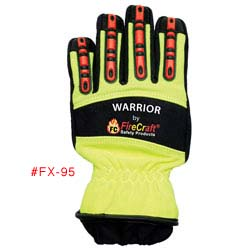 This glove is flame resistant throughout. OUTER SHELL-BACK: A unique blend of Kevlar® aramid and glass fibers that provides cut and puncture protection. OUTER SHELL-PALM, the part of a glove that needs the most protection: Keprotec® fabric, originally developed for use in astronaut’s clothing by Schoeller. 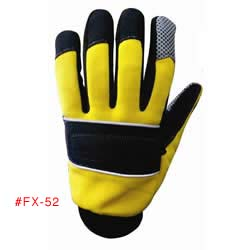 The fabric is FR, and contains aramid fibers. 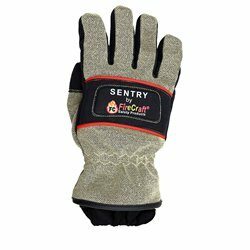 It is water, oil and dirt resistant, extremely rub and tear resistant, and very easy to clean. BASE LAYER: A full lining of Kevlar® fabric for additional protection. INNER LINING: SPECTRA® manufactured by Honeywell for ballistic use. 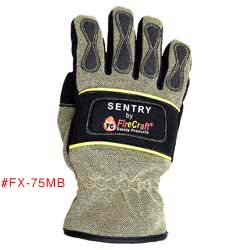 Provides Cut-Level 4 protection. 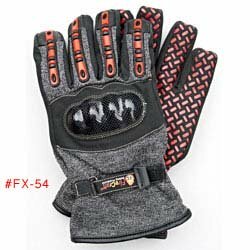 Dry or wet, hands will slip into this glove.